Welcome back for another community update regarding all things happening over at Bitswift & Co. We are glad you can join us here to read about all the progress and recent developments happening over in the Bitswift ecosystem. In last months update we discussed the ongoing development of Bitswift.shop. 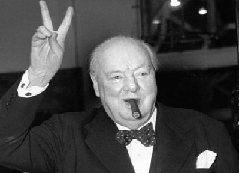 We are happy to announce that all that was said is now done. The Bitswift.shop is now utilizing a new database which is more or less fully automated the tasks of managing the products. Our shop hooks into 4 major Canadian tech distributors, it pulls available product that we are authorized to sell and publishes that product catalog into our front end where it can be purchased by our representatives and the general public. With the new database hook came 1000s of new products, laptops, desktops, headphones, tablets, all available for purchase, and all reasonably priced and ready to drop ship to you. We have plans to expand on our product catalog through obtaining product authorization with new manufacturers, and plans to increase our product sales and build greater awareness for the shop by hosting our products on additional marketplaces such as, Amazon, and Bestbuy.ca. Our shop still has a long way to go, but we are getting there one step at a time, and now that the product managers job has been replaced by an autonomous system we can devote those resources to marketing, promotion, and polishing up the front end to ensure it is a success. Bitswift will have a mobile app out this year as planned in our road map. We are pleased to announce that we are on schedule and we are actively engaged in the development of the Bitswift mobile app. The app will have some cool and unique features, such as the ability to SMS / NFC digital assets to your contacts, along with some synergy with the Bitswift.cash services for syncing additional information. 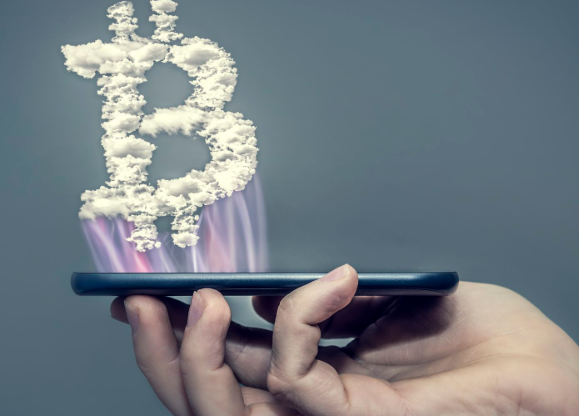 The goal for the app is to provide an accessible mobile interface for users wishing to access the token economy, and to take advantage of technologies like SMS / NFC which are generally found on mobile endpoints. The app will bring our products closer together and maintain the core functions already available on our public ledger. Bitswift mobile app is scheduled to be released first on the Android with plans for future release on iOS. The Bitswift.cash community driven universal basic income project is growing slowly and steadily while digital citizens are claiming CASH tokens daily. We are getting close to the total of 1 million CASH tokens in circulation that were generated through user participation on the platform. CASH tokens are interesting and unique because their inflation rate is directly associated with the amount of users requesting them instead of based on a block or transaction fee reward engraved in a protocol. Deposits and withdrawals are also working perfectly as we have had no complaints from any of our Registered or Verified Citizens regarding any unexpected or unexplained issues. We are happy that https://bitswift.cash/ is working as we imagined it to, this means that the platform is ready for some new additions such as the mobile app and native chain hooks. One thing we are really excited about over at Bitswift is the next reality, VR! With that said, we are looking at hosting regular scheduled meetups in VR events to spread the word and raise awareness for blockchain technology and the token economy. Check back here next month for some invite links and additional information regarding these virtual meetups where you will get a chance to mingle with Bitswift dev team and talk about crypto. Reminder to everyone, you can receive crypto rewards from our LZLZ forging pool on the 15th of every month. 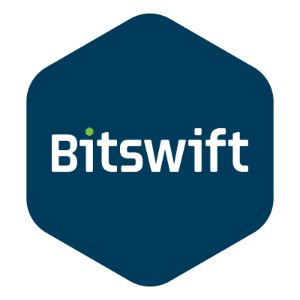 Check https://bitswift.network where we provide information about Bitswifts forging pool. 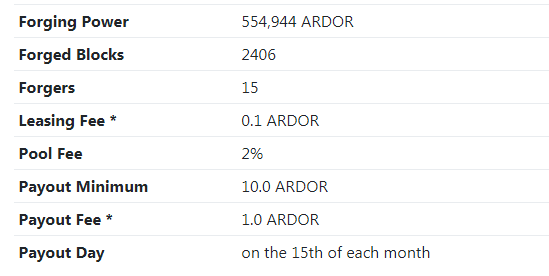 If you have some Ardor on your account that you’re not using, try leasing it to earn passive rewards in crypto-tokens from the blockchain. Forgers also help secure the Ardor network, so what are you waiting for, don’t be lazy, lease to Bitswift LZLZ pool already! As most of you in the community already know, Bitswift is business focused with business plans. We have been busy building customer relationships and business products instead of delivering false promises and hype through white papers. Our focus is on the application and interface layer, not at the protocol layer which many other projects are focused on in this same sector. We feel it is important that companies like ours are spreading awareness about the importance of blockchain technology and have set out to integrate it. There are many scams out there leaving some people with a very bad impression about the token economy. This can result in a lack of trust in the space which is not good for anyone participating within it. We have set out to change that through education and integration by way of our reputable products and services. You might already know that Bitswift Remote Agent is a product that is promoted and sold by Bitswift Tech, if not, well you do now. The product is currently actively protecting and managing business and home based computers. It allows real-time monitoring of customers equipment, enabling better protection and proactive management of end customer devices. Customers benefits include proactive maintenance tasks, included offsite managed encrypted backup, reporting, and security software coverage along with a certified reputable remote support if required. Remote Agent makes sense for customers looking to be proactive with their technology infrastructure, giving them peace of mind for a fixed monthly per device fee. 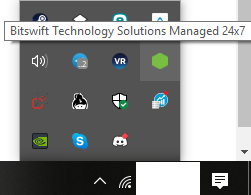 Bitswift Remote Agent can be installed on Mac or Windows based devices. It allows customers PCs and servers to be managed remotely while reporting to Bitswifts managed dashboard where qualified and reputable techs can be assigned to any support request. Remote Agent suits small to medium business requirements, but also provides benefit to home users who also want to ensure their device and personal data remain secure. Our Remote Agent is based on ConnectWise Automate product, which is known in the industry for being a leader in remote monitoring, management and automation of end user devices. The software provides a development framework spanning all of our customers devices, allowing us to manage them more effectively to ensure they are in compliance with industry and our own standards. We will continue to promote and support this product as we feel it delivers the best value to customers looking for this type of managed technology solution and it fits well with our future business plans. As always we keep you up to date month to month during these community updates, but you can also join us in our other social channels if you would like to participate and stay current with the Bitswift community. Official news relating to Bitswift digital ecosystem.